Performance and stability improvements in overall responsiveness, including typing and switching between tabs and windows, and fixes some odd crashes that were occurring to make the program more stable overall. A fresh look & feel for some areas such as making the contact list even narrower and offline messages are more clearly displayed with a new “While you were out” tag and timestamp to denote the message. Various bug fixes such as message window wasn’t always scrolling down as the conversation progressed. Update: Yahoo! 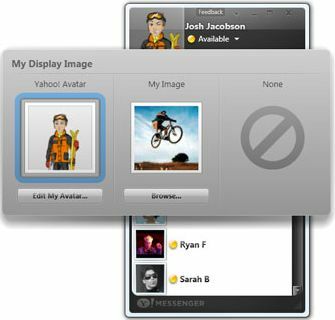 Messenger for Windows Vista development has been discontinued. Get Yahoo! Messenger 9 instead.